Over the course of my personal experience with (and recovery from) Lyme disease and mold illness, I have literally tried hundreds of supplements. During my trials with various products, I found many supplements to be only marginally helpful. However, I have found a handful of “winners,” and have decided to feature them on this page, since I often receive questions about which products I use to support my own health. I have grouped the supplements by category, though there is overlap between categories for some of the products. This omega-3 fatty acid oil is extracted from wild algae, so it is vegan-friendly and has no fishy odor or flavor. It may be a suitable alternative to fish oil for those who are sensitive to the high-histamine content of fish. The docosahexaenoic acid (DHA) in this product supports healthy blood cholesterol levels, reduces inflammation, helps to prevent age-related macular degeneration, protects the eyes form artificial blue-light exposure, and improves brain function. Vitamin D is crucial for maintaining immune system health, hormonal balance, and healthy bones. What makes this product unique is that the vitamin D3 and vitamin K2 come encapsulated in liposomes, which are small phospholipid molecules that enhance absorption. Alpha lipoic acid (ALA) is a powerful antioxidant and anti-inflammatory compound that protects brain health, improves insulin sensitivity and blood sugar control, lowers "bad" LDL cholesterol, removes toxic heavy metals and mycotoxins from the body, and facilitates wound healing, among many other beneficial effects. This product has been essential in helping me reduce mold-induced chronic inflammation and blood sugar issues related to Lyme disease. Vitamin D is required for the normal function of many physiological processes in the body, including insulin sensitivity and blood sugar control, maintenance of the gastrointestinal barrier (and prevention of “leaky gut”), and immunity. I always recommend getting your vitamin D level checked before supplementing because vitamin D is a fat-soluble vitamin, which means overdosing on it can have serious consequences for the body. The health of your mouth affects the health of your entire body. I am extremely diligent about dental hygiene and use the products below on a daily basis. This tool lets you gently use water to "floss" and clean out even the hardest to reach places in your mouth. This tool removes buildup and bacteria from the tongue to help with plaque removal and restore oral health. Mitochondria are the tiny "power plants" within our cells that convert carbohydrates, fats, and proteins from food into energy that fuels metabolic processes within our bodies. Mitochondria Ignite with NT Factor is a unique nutritional and antioxidant supplement that supports the repair of damaged cell membranes and restores healthy mitochondrial function. You can purchase Mitochondria Ignite with NT Factor through the link below. Cistus is a natural antibiotic, antiviral, and biofilm-breaking herb. I have found it to be especially beneficial for improving dental health. You can read more about the many health benefits of Cistus in an article I wrote for ProHealth, "Cistus: A Natural Antibiotic, Antiviral, and Biofilm-Buster." I like to make Cistus tea using Biopure's Cistus loose-leaf tea, available at ProHealth. Biopure's freeze-dried garlic is a potent antibacterial, antifungal, and antiparasitic. It may also help promote detoxification and improve blood sugar control. You can find this product at ProHealth through the link below. In my experience, this blend of herbal extracts, essential oils, and trace minerals is extremely effective against Candida overgrowth and fungal infections induced by antibiotic use and mold exposure. Gelatin and collagen powder are rich sources of amino acids capable of soothing the gastrointestinal tract, repairing "leaky gut," and promoting healthy liver function, skin, and nails. Gelatin is also a great egg substitute in baked goods - I personally use it for making Paleo muffins, cookies, and breads. 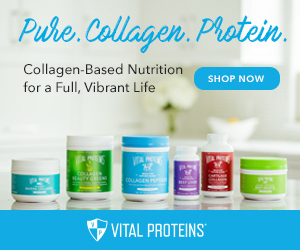 Vital Proteins is my favorite brand because their products are pure and from pastured cows. This spore-based probiotic is unlike any other probiotic on the market. Rather than containing live bacteria (such as Lactobacilli or Bifidobacteria) it contains spores, a single-celled organism capable of growing into a bacterium. The spores are able to survive stomach acid and the pH of the upper GI tract and ultimately reach the intestine intact, where they "reseed" the gut. The probiotic strains in Just Thrive balance the immune system, kill pathogenic microorganisms, and even produce antioxidants! Just Thrive is great for treating SIBO (small intestinal bacterial overgrowth), fungal infections, food sensitivities, and leaky gut. A beneficial yeast that kills candida, mold, and pathogenic bacteria in the gut. Great for those with chronic candida/yeast overgrowth. A spore probiotic that has antifungal properties. Bone broth protein and cofactors in a convenient powder form. Available in unflavored, chocolate, and vanilla. 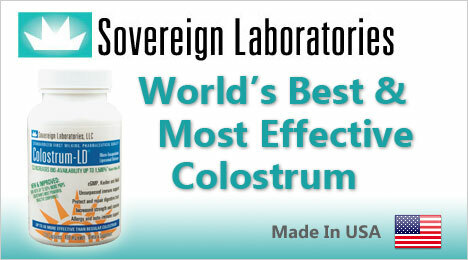 Colostrum helps repair leaky gut, boosts the immune system, and fights infection, among many other benefits. This silica-gel binder mops up toxins in the digestive tract. It’s great for quickly resolving adverse reactions to foods as well. Great for binding mycotoxins, and for reducing food sensitivity reactions. Optimizing your circadian rhythms is crucial for promoting healing and for building long-term health. One of the easiest hacks for syncing your circadian rhythms is to avoid blue light exposure at night. I recommend wearing blue-light-blocking glasses at least a couple of hours before bed, to minimize your exposure. This will ensure that you brain can make enough melatonin, which promotes restful sleep. This pad contains multiple layers of shielding that block electromagnetic field (EMF) radiation emitted from your laptop, thus helping to protect you from the harmful effects of non-native EMFs. I spend a lot of time reading and writing on my laptop for work, and this pad has made a huge positive difference in how I feel after spending many hours working on the laptop. A growing body of research indicates that sunlight (and UV light in general) have health benefits independent of vitamin D, and that oral vitamin D may not function the same way in the body as does vitamin D produced from light exposure. This information led me to seek out a non-supplement method for raising my vitamin D. I found the perfect solution with the Sperti Vitamin D Light Box. It has raised my vitamin D levels and boosts my energy and mood when I am not able to spend as much time in the sun as I would like (such as in the winter).